What are your best money-saving tips for a beauty beginner? What are your best money-saving tips for a beauty beginner? Share! August through December tends to be the best time to purchase high-end beauty products, because you have Sephora and Beauty.com’s F&F sales, but a ton of brands also do their own – and sometimes when the brands do them they can be higher than 20%. 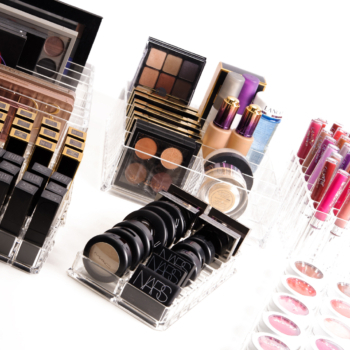 Holidays also mean a lot of sets, palettes, and kits, which can mean value. On a big picture note, focus on quality over quantity; it’s about buying products you love and want to use all the time, whether that’s $1 or $10 product. Research and buy different colors/types of products at the drugstore to see what you like and dislike before spending a lot on something you’re not sure about! Thanks to Molly for today’s question! Do you have a question idea? Submit yours here. Definitely check websites like Temptalia or MakeupAlley for reviews of products before buying them! And remember, QUALITY is not determined by how expensive something is! Wait for sales, and do a lot of research first. Drugstore makeup can be pretty great, but you need to know where to look because there are lots of misses. And if you’re patient, drugstores can have really great deals on makeup. I know I personally am so tight on money that I not only completely buy drugstore, but I usually wait for a sale to buy. I think I’ve done well so far, except that I have entirely too many of pretty much everything (but by choice). In general, since you’re starting off, it’s probably best to stick with older (meaning not newly-released) products that have the reputation of being the “best” product(s) in their respective product categories, because there’s a reason for that: a lot of people actually do like these products and find them to be quite effective! In no way am I guaranteeing that they’ll be the “best” for you, but chances are, they will be pretty good. These products will serve as anchor points for how you can evaluate other options out there. And if the products with the best reputations don’t work out for you, you can always return them–which is why you should purchase from retailers that have excellent return policies. High-end = Sephora and Nordstrom. Drugstore = I think CVS is the only retailer that allows for beauty returns with no Qs asked, but I could be wrong about that. I don’t buy and return enough items at the drugstore price range to know more. I always buy products that I might return from CVS. Finally, of course it’s a good idea to buy stuff (as with anything) around holidays and sales. The timings of these sales for each retailer vary quite a bit, so it’s best to check ones you’re interested in around the holiday times and just on a more regular basis. Sephora always has a 15% off sale in April-ish, and a 20% off sale in October-November. Oh, and around the holiday season, I know that Sephora has some truly great sets that contain a bunch of mini-version of some of their most popular lip, eye, and face products, separately. This is an efficient way to try out a bunch of products by category [i.e. lip stick/gloss, eyeliner (pencil, liquid, gel), blush]. 1. 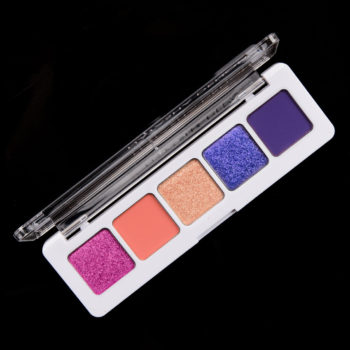 For eye shadows, find a good-sized palette or two that you can really enjoy and use on a regular basis. 2. (Liquid) foundations and concealers; (loose) powders: If possible, don’t be afraid to ask for samples, and don’t feel pressured to buy the full-sized item, even if the SA is acting expectant or demanding. As you’ve probably heard or will soon hear, your base is the most important part of your makeup routine, unless you’ve got pretty perfect skin. It’s the canvas that holds all other elements together. Walgreens and Walmart allow for returns as well. And Ulta allows returns as long as a good percentage of the product remains. But I just checked and all those retailers have some form of limitation to their return policies, not including the necessity of the receipt. Walmart has 90-day return period. Ulta has a 60-day return period. I don’t know about you, but you can’t beat that! The prices at CVS may be slightly higher in general than Walmart, but if there’s a chance I might return something that’s beauty-related, I’d rather just pay the “premium” price with CVS. Lol! Plus, using websites like Ebates can help even out the total amount being paid, seeing as Walmart’s cashback is usually capped at 1-2%, while CVS’s hovers around 4%. 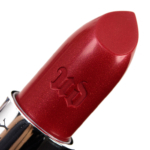 Try to go with more affordable options when you’re trying something new (red lipstick, etc.) 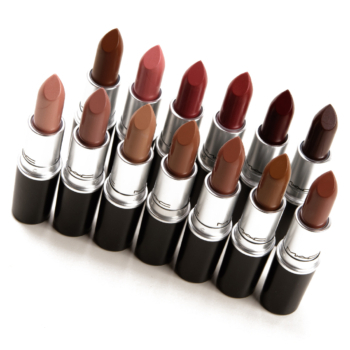 Save for essential shades, you probably will never finish make-up anyway, so take advantage of small sample-sized items. 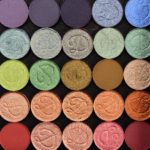 Many indie brands offer $1 sample baggies of loose powder products – This is great if you want to play with colors without spending the big bucks. And finally, do your homework: Look up reviews and swatches of products and research your company so you wouldn’t get burned by the few bad seeds. If you want to invest in a high-end product but are not really sure what you want, buy a couple different options at the drugstore. This way you can figure out what you like and don’t like. I did this for an eyebrow pencil. Also, you’ll understand how to use the product better, which will make it a more worthwhile investment. For skincare, I love deluxe samples, because you try and get as many uses as possible out of them. Therefore, you get used to the amount of product you should use. Often, I end up using too much product. 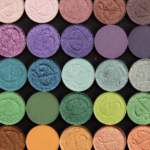 For color products, you can buy a palette from Coastal Scents or another cheap brand to really explore which colors look best on you. I recently got a concealer palette from Coastal Scents, which I think will really help with when I want to invest in foundation or concealer or contouring products. Lastly, never feel like you have to buy something the same day you try things on at the department store. I always feel awkward leaving empty handed. 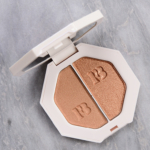 But it is best to keep the products you are interested in on and check yourself out in a bunch of different lights and see how the product wears. I bought a mascara once right after trying it on, but it ended up smudging really easily. So sad!! My tips – do a bit of reading to avoid costly mistakes in your purchases. 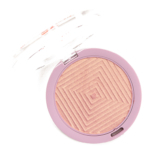 And either find some good quality but reasonably priced items like blush, shadow and brushes (there are many – Wet n Wild comes to mind for shadows, Real Techniques for some of their brushes). Or, if you are going to spend more, again, do your research and invest in basic shades first that suit you. 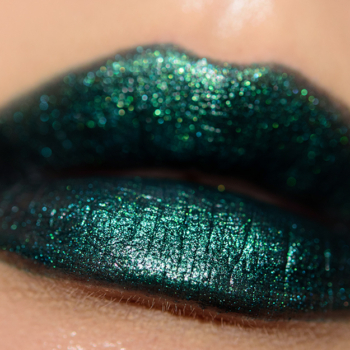 Brilliant purple and sparklingly vivid green shadows may look SO appealing but getting a few shadows in neutral, basic colours that suit YOU would be a better investment. Makeup sales here in Canada on high end products are pretty non-existent but waiting for a Gift-with-Purchase will give you the chance to try other products (not of your own choosing but still….) without spending your own cash on them. Don’t be afraid to ask for samples (Sephora is good this way and other companies are following suit) or try things in store but don’t rush to buy….have the new product applied and wear it around for the day before making your decision. And remember that cheap products aren’t always a bargain (if they don’t work for you, it’s still money wasted) and expensive products are not always a guarantee of excellent quality either. So research, test, sample and research some more. When I first started out, I saw all the palettes with pretty colors but wasn’t sure how to use them, or which colors would be right for me. I ended up buying a $20 eyeshadow palette from Urban Outfitters (on sale) that had about 60 different colors. 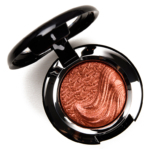 The quality was so-so, but it was a great way for me to experiment with different colors and figure out how to use them, so that eventually when I walked into Sephora or Ulta I could make smarter choices about what shades to buy. Looking back, I think I wasted too much money on poor quality drugstore products. Somethings are best bought at the drugstore (nail polish, mascaras which you need to replace every 3 months, highly rated products like the Maybelline Color Tattoos and Maybelline Vivid Lipsticks), but don’t buy indiscriminately. I wish I had saved the money I spent on terrible eyeshadow and instead invested in a great neutral palette earlier. Some recommendations: Naked 1 for warm tones, Naked 2 for neutral or cool tones, Lorac Pro Palette, or Stila In The Light. These are all $40-$50, but will last you many years and give you great value. Wet N Wild palettes are actually good tho. I still use them. I think it depends on the brand. Cover Girl always has bad eyeshadow. WNW is the only one I find myself going back to. For me the best products to splurge on are foundations. Skin care products are important to buy good quality. Coupons and rewards… you can get drugstore makeup and Ulta makeup for good prices if you take advantage of their rewards program. For online shopping try finding codes. A lot of the time you can get some good deals that way. 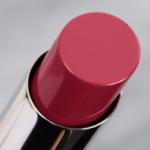 If you are a beauty beginner, find what products you like (lipsticks, blush, mascara) and focus on getting the deals on those if at all possible. If you are going for high end brands you have to accept that you won’t ever get a massive deal on them. You are more likely to get the most bang for your buck on cheaper beauty brands; this doesn’t always mean low quality tho. Check for dupes and definitely utilize your resources. It really depends on the product, and how much importance is placed on it. There are products I’m more willing to splurge on than others, and there are also products I choose to limit amounts of. 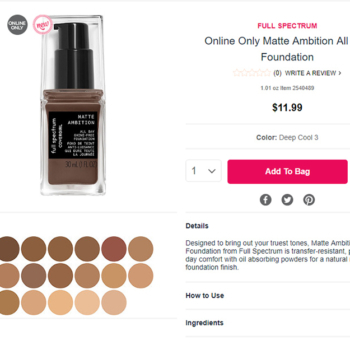 Foundation: This is probably the *most* important product to research, test, etc., since it is the one product you will use pretty much every time you wear makeup. Don’t buy into the hype of others about how amazing something is, as you may have different results. The particular product/brand may simply not have a color-match for you, or it may react differently with your skin and/or skincare products. Look to friends, classmates, coworkers, etc., who have a similar coloring (even if it’s just undertone), and ask them what they use. If possible, get a sample, or have the SA apply the product to you. Remember to try foundation with whatever product you plan to use every time with it (skincare, SPF, etc. ), because what may work on “clean” skin may react with other products. Plan to spend the day at the mall/shopping plaza while wearing the foundation, and after a couple of hours check in a mirror outside. If possible, check in the rearview mirror in the car; you may see things that shock you, but it is probably the most accurate light source. You may have to try an entirely different brand to get the best match, but again, it’s worth it. If you need to start with DS foundation, which you can’t try, or return, try mixing the foundation with a moisturizer to “sheer” out the color, making it a bit more forgiving. Eyeshadow: Invest in a palette; neutral palettes are the best place to start, as you can easily incorporate color & build around the palette, whether through eyeliner, additional shadows, etc. I really like the LORAC Pro palette, as it includes different finishes, and includes a purple & a garnet shade for a little more variety. It also includes a primer. UD Naked Basics is also a good one to start with, as well as Kat von D Saint or Ladybird palettes. When adding “color”, stick with a brand you know, or, if trying new shades, go with DS brands. Brushes: Hands down, Sonia Kashuk & Real Techniques! These are great brushes, and if you catch a sale, or any of the sets, they really are very affordable. The e.l.f. angled shadow brush is also a nice addition to any collection. Lipstick: Start cheap. DS lippies are often just as good as HE, and are a fraction of the cost, especially with sales, coupons, etc. You really can build up a nice wardrobe this way, and figure out what sort of shades you like best, and if necessary, invest in HE brands later. For me, I actually prefer DS brands like Revlon & WnW, both of which have actual dupes of many popular HE lippies. 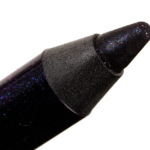 Eyeliner: Start with a neutral shade, and if/when you find a brand/formula you really like, expand the colors if you’d like. Lining the lashline with a shadow works, too, so you don’t necessarily need alot of different shades. Mascara: When possible, get samples! Sephora often sells “sample” sized mascara, and even sampler packages with several best-sellers. This is also another product you can ask friends about. At least with mascara, it’s a product that needs frequent replacing, so unless a mascara is just *really* bad, you aren’t stuck with it too long, and by the time you get around to picking up a new one, it’s almost time to toss the old. Look for GWPs as well, especially if you’re at a point to splurge for HE products. Blush: Like lipstick, you can start cheaper. 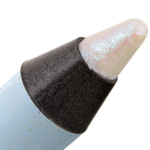 The DS brands are generally less pigmented, but that may work in your favor. 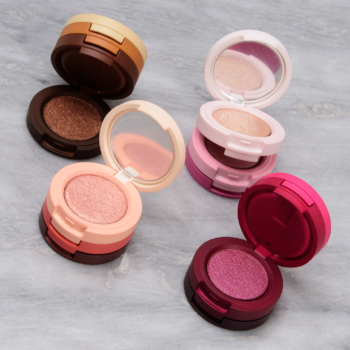 Again, you might find something you really like; I personally prefer a sheerer blush, so I don’t mind DS brands. Also, start with a “natural” shade, and build around that. If you find blush to be integral to your look, you can always build up your stash, and once you figure out application, you can go for more pigmentation. this comment is amazing! 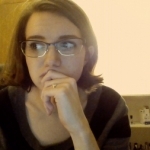 I’m still kinda just starting out with using makeup more and i’ve been mostly using old stuff i have, and this post is SO helpful and detailed and wonderful. thank you!! When I had very little extra money for cosmetics I read a LOT of reviews for drugstore items and tried to only get the items that I needed that had good reviews. Honestly, if you’re willing to sift through the reviews, there are a lot of decent to excellent quality drugstore items. The only bummer is (sometimes) shade selection. Hit up CVS Clearance! Oh, and when beginning, foundation seems like the hardest choice to make, so go for BB crèmes which makes your choice a lot easier. CVS – Extra Bucks program is AWESOME! You get tons of coupons (most of which don’t really apply but every now and then they’ll have some good $ off a certain brand). CVS clearance is awesome too, some products are up to 75% off (hello, Revlon lipstick in CoralBerry!). BIRCHBOX – they have a great point system too (I recently unsubscribed), points for each monthly box and points for every product review included in the box. Easy to get free full sized products while paying for a subscription. ONLINE SHOPPING – go through ebates for a % cash back and use a rewards credit card whenever you can for more cash back (credit card should only be for ppl who can pay in full each month!) HAUTELOOK is a great place to get great discounted cosmetics (theBalm is my fav). Check individual brand sites for their sale section (UD, Lorac, Stila). HIGH-END BRANDS – Nordstrom has a cosmetic/fragrance trend show every year at their main stores (tickets are $15 but that $15 get credited towards your purchase), they do giveaways during the show & offer tons of freebies/samples. I agree with the ULTA rewards program being awesome. If you watch they do have a lot of the Bonus points like Budziak mentioned. Additionally you get points for salon services like facials, nails, hair cuts, etc.. I saved up until I had enough points to redeem $70 off my next purchase! The ulta rewards points aren’t even limited to DS items. I purchased a Clairsonic during their F&F sale and used the points on that! Also like many have said try sites like Hautelook, ruelala, haulerdeals, etc… But I suggest only doing this once you know you like the specific product or brand. Research the specific item you’re going to buy before purchasing and you could find it doesn’t live up to the brands normal quality! If it’s one that’s sold in Sephora go check it out before ordering it on a flash sale site. I guess If you live in a nation where you can return makeup items you should do your research and buy products from mid range, high end and drugstore brands that you think you would like and if you don´t like the item for any reason you can return it and try something else. But if on the other hand, like me you live in a nation with no makeup returns for any reason, you should be more careful with your purchases, personally I believe a few good products to start with that will be used daily are better than a huge collection of lesser items that may end up unused. So in that case, research and patience is needed, and a lot of swatching. I remember I started my collection with a good concealer, a nice Estee lauder lipstick, a Chanel lipstick and a Dior one that I used all the time and one single blush from Chanel, one lip liner and one mascara from Estee lauder, it was the Turbolash one. I had a very small collection but I loved everything and was always happy to use my makeup and used it daily, eventually expanding my collection in the future. I believe having a few everyday high end and mid end products to begin with, is better than having many DS products that could be disappointing, since I remember as a twelve year old being disappointed by the water shine Maybelline lipglosses or were they cover girl? Anyway I was very sad and disappointed with the two water shines I purchased since I had expectations of a high end lipgloss, like the look a Chanel Glossimer delivers. So yes, I believe it´s better to start with a few great products, rather than with many mediocre ones. – I strongly agree with the tip of sampling foundations. Makeup counters and Sephora are great for that. No matter how many reviews you find, there’s no way to know how a foundation will work for YOU. You need to find something in the right color that works for your skin type and doesn’t break you out. Not easy! To avoid a huge foundation graveyard, sample! And don’t cheap out. Drugstore can be great, but matching correctly is way harder. 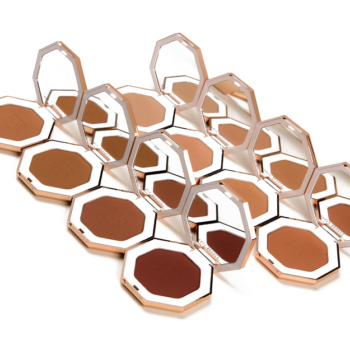 Once you have some good high end matches, it’s much easier to find a drugstore match though because you’ll be better at knowing your tone and also googling reviews from people who are the same tone as you in other foundations. 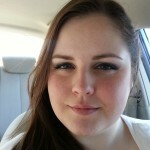 – Following on my first tip, even if you don’t plan to use a mac foundation, get matched at mac. Everyone speaks “mac” when comparing foundation colors. – But at least 1 good eyeshadow palette. I strongly recommend getting one of the Urban Decay Naked Palettes. It’s $50 but an excellent value and the packaging is very high quality so it’ll last. Naked 1 and 2 also include brushes. I actually really like the brushes and while I use my Mac 239 more than the brush in Naked 1, I do like both. I don’t have Naked 2, so I can’t speak to the crease brush. 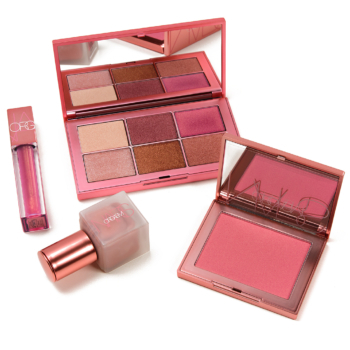 – Check out holiday palettes around Christmas but read reviews first. Some brands do not use the same quality in holiday palettes as they do for their regular line. Some holiday sets are a fantastic deal and you get tons of product to build your collection. – Spend money on blush. 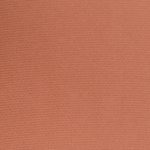 I have found that high end blushes tend to have better pigmentation and better lasting power. – Sample mascaras if you are interested in high end. It’s pretty easy to get samples. When you order from many websites, they throw in a deluxe sample. But don’t be afraid to go drugstore with mascara. There are lots of good ones and it is something you buy frequently. – Sample primers. Don’t buy a face primer without test driving. They often break people out so you really need to try it out first. 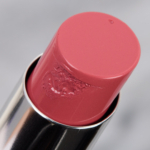 – Look for The Balm when it comes on HauteLook. Then you can stock up on blushes and more eyeshadow. It’s a great brand and they are often featured on HauteLook. Unlike other brands, products are current, not things that are getting discontinued. – Check out QVC. Sometimes they sell sets of bundled products, which is a good way of getting high end products at a discounted price. I recently got a Tarte set and it was around $60 and included a foundation, a foundation brush, blush, brow pencil, mascara, lipstick and makeup bag. All products were full sized – the foundation retails for $38, the brush for around $30, the blush for $25 and so on. I didn’t love the mascara, but everything else was great. – Don’t be afraid to return things that don’t work. – Save money on brushes. I’ve been REALLY impressed with Real Techniques brushes and they are WAY cheaper than Mac or Sigma. You definitely should get the Core Collection. I also recommend the setting brush for undereye concealer, the Expert Face Brush, and the stippling brush for cream blush. The brushes are slightly discounted on Amazon but they are an awesome deal. I haven’t tried the eye brushes but I’ve heard good things. Stay away from bolder colors until you are comfortable with application techniques. Check return policy and hold on to receipt in case it doesn’t work out for you. NYX, Milani and Rimmel have amazing quality blushes and lippies with that rival higher end brands. I know several teens that are beauty beginners and recommend that brand to them. If you believe you need foundation, get testers and test several days in a row. 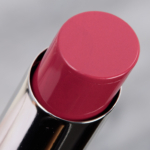 Check out reviews on You Tube and the web: Temptalia, Allura Beauty, MakeUpAlley but focus on one or two types or products at a time (lipsticks or blush or foundation, etc.) Otherwise, you won’t remember what you want when you get to the store. How do I know this? Been there, done that.